The company has a great team that receives excellent feedback from customers. 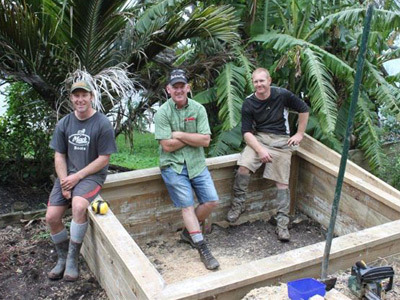 As well as the team at Manaia Excavators, who provide invaluable skill, knowledge and experience to each project, Shaun Robinson has built up a core group of local business associates that he uses for a wide range of projects, such as builders, concrete layers, drain layers, electricians, and plumbers. This ensures that Manaia Excavators has the skill and resources to meet any challenge a project presents. Aimee is the Administrator at Manaia Excavators.